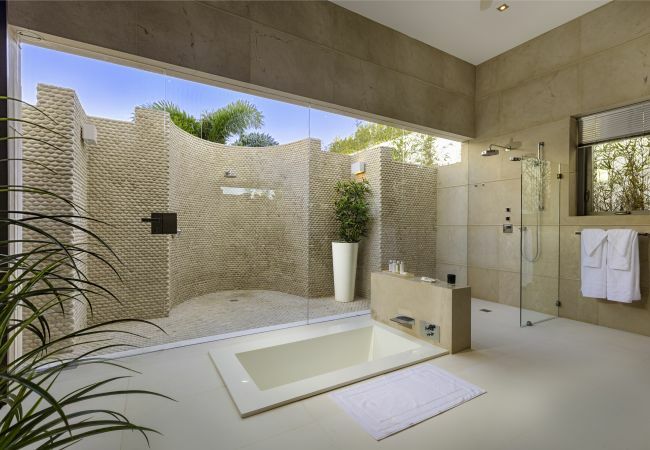 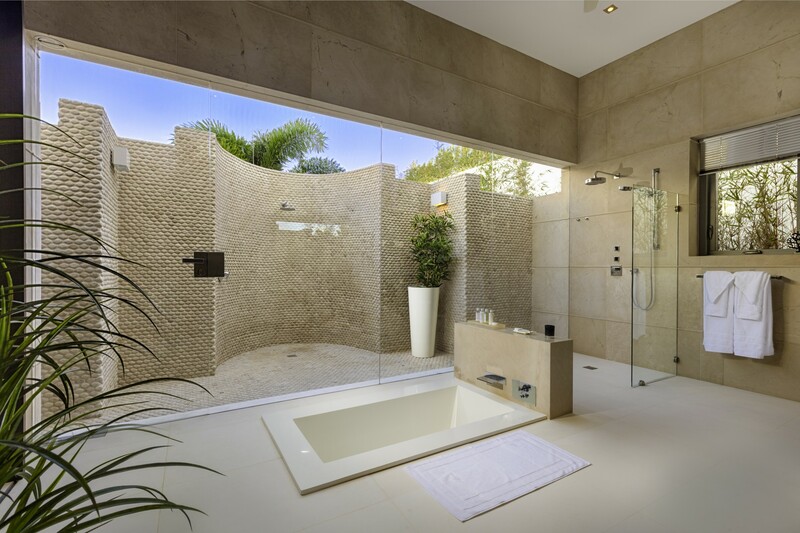 The setting for this incredible home is as stunning as the design. 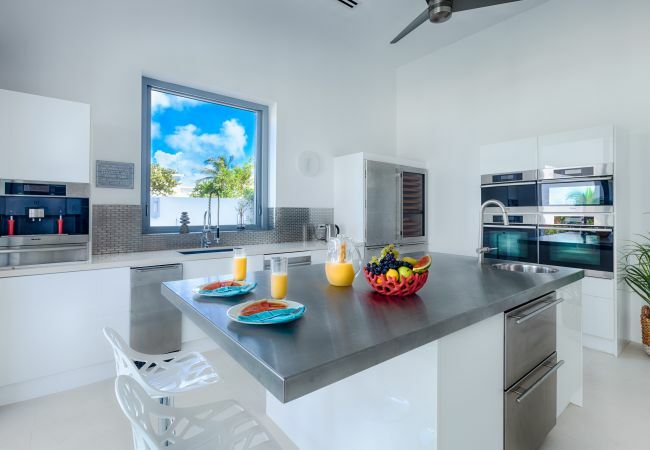 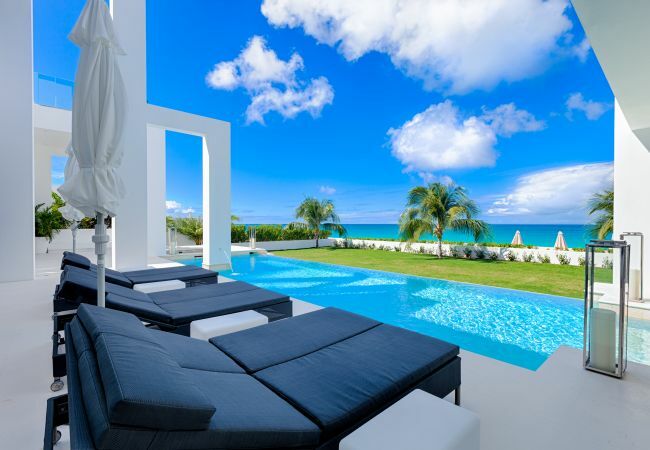 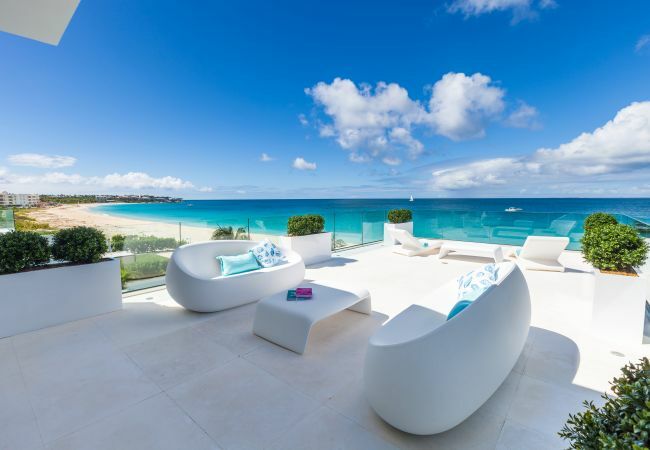 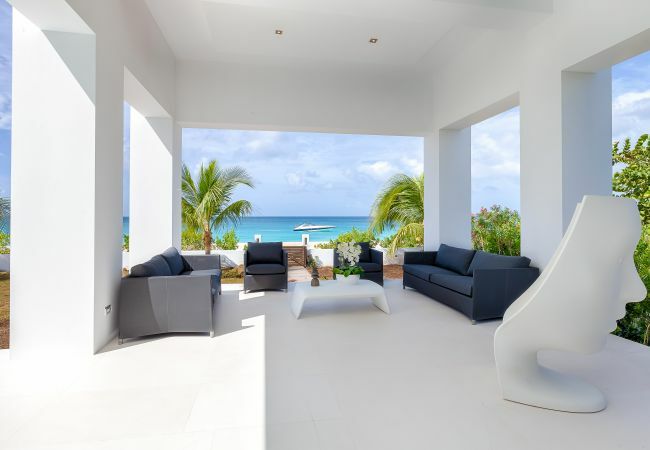 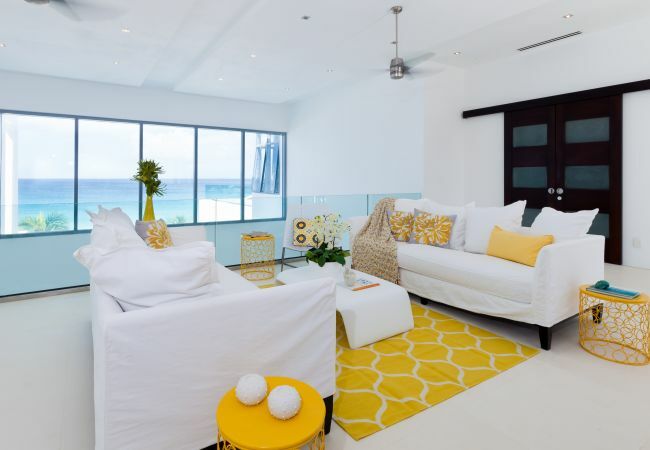 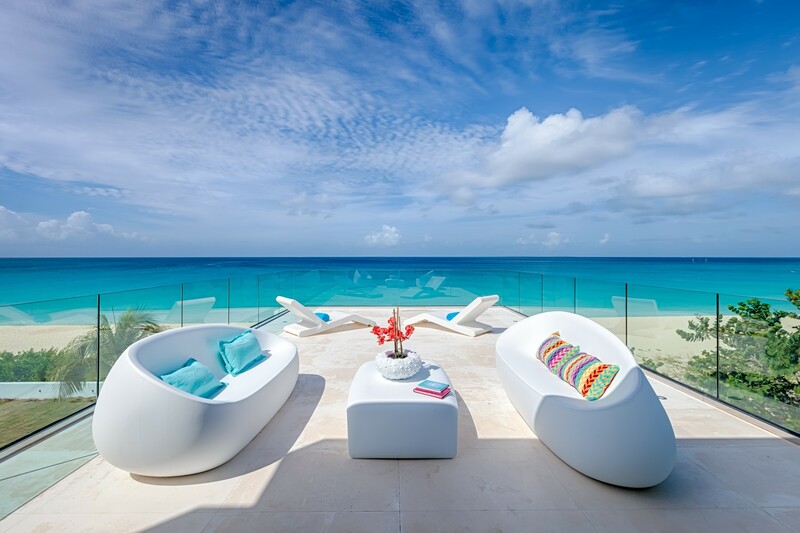 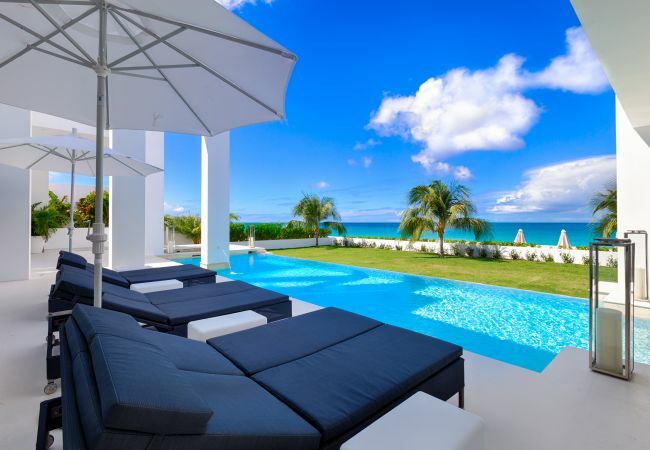 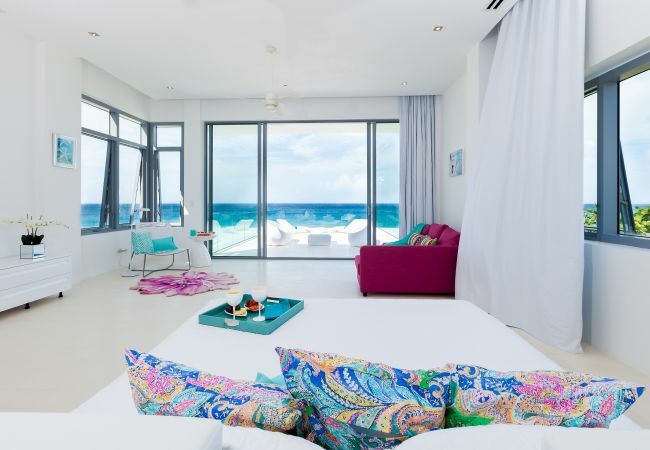 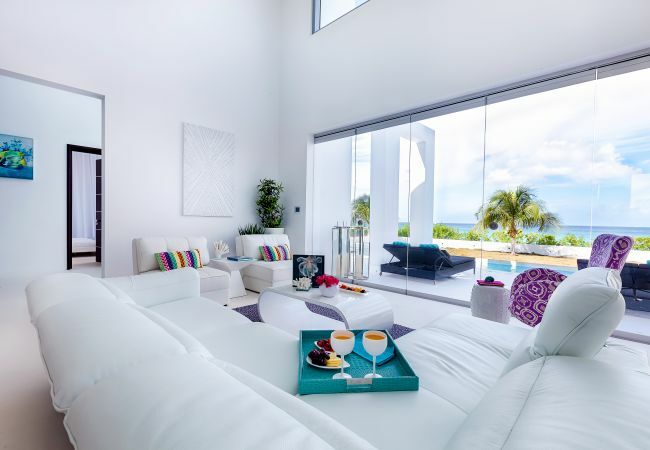 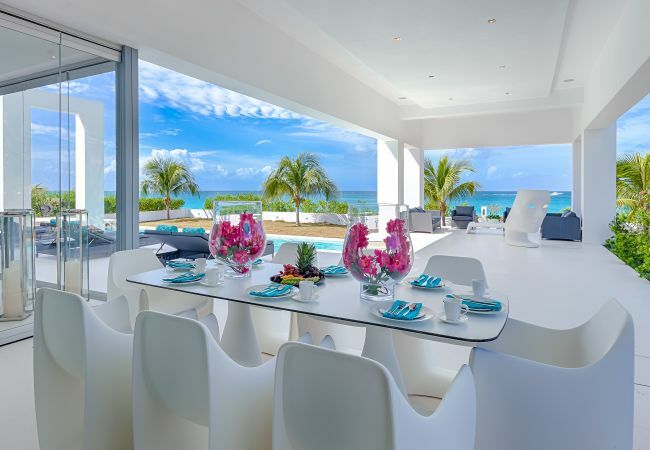 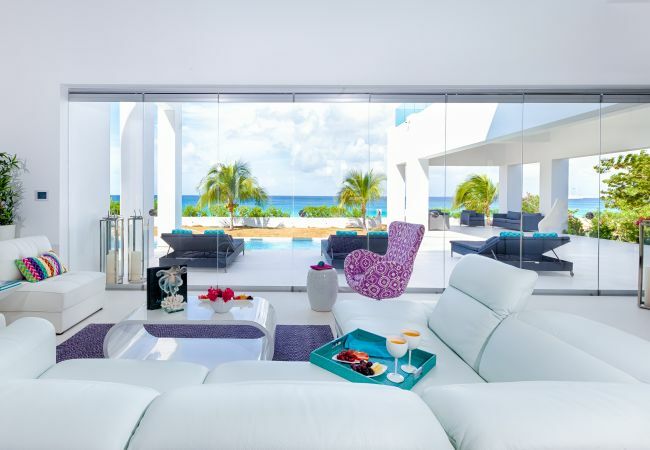 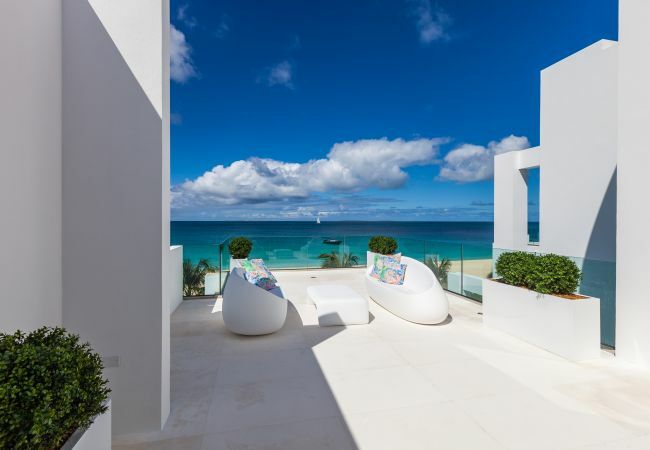 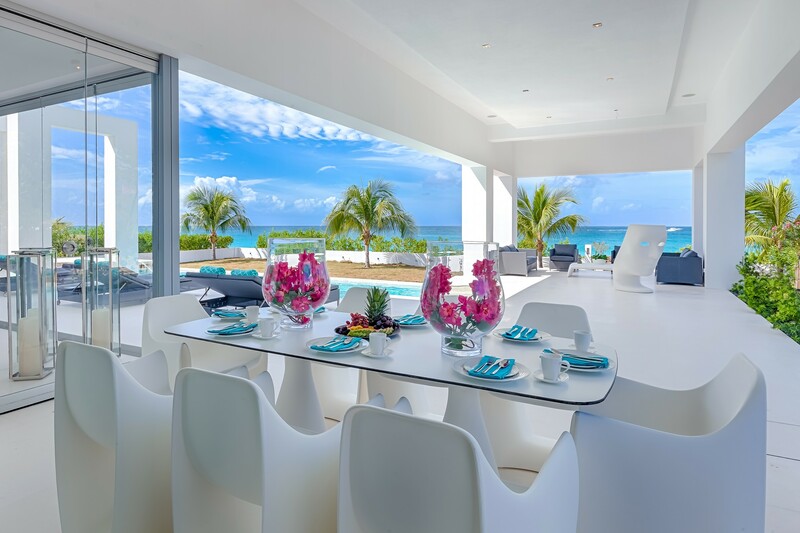 Built on one acre of prime beachfront land on the powdery white sand of Meads Bay in the island’s west end, with just under 17,000 square feet total living space, the Beach House is a modern masterpiece. 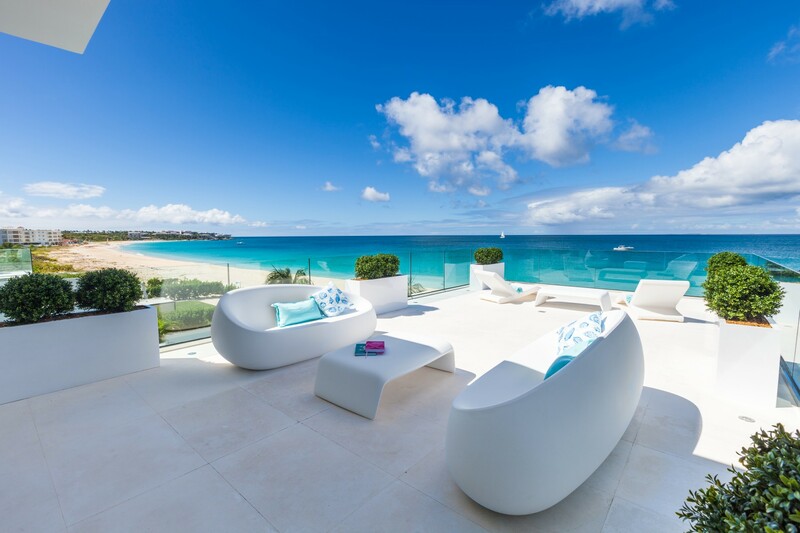 Sharing this desirable location with Malliouhana Hotel & Spa and Blanchard’s Restaurant and future home of the Four Seasons Resort and Spa. 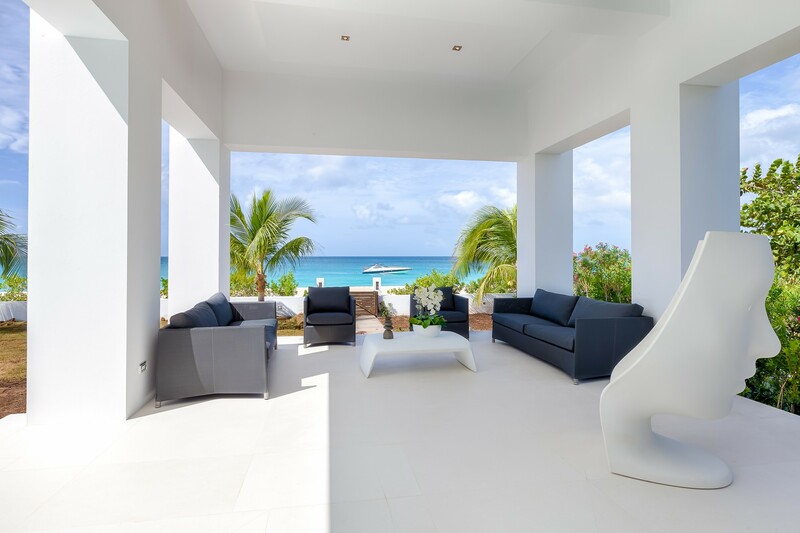 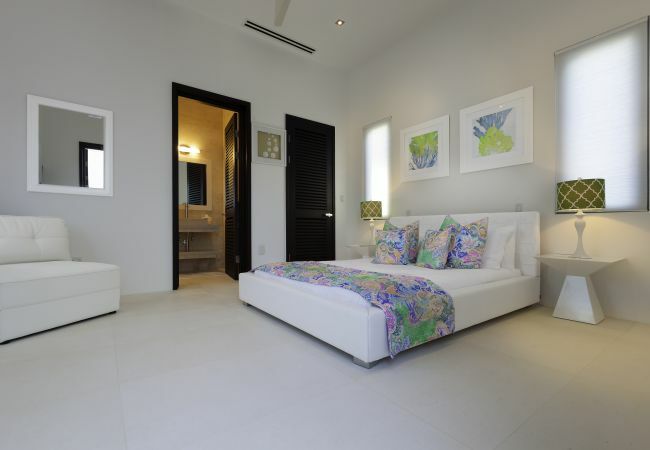 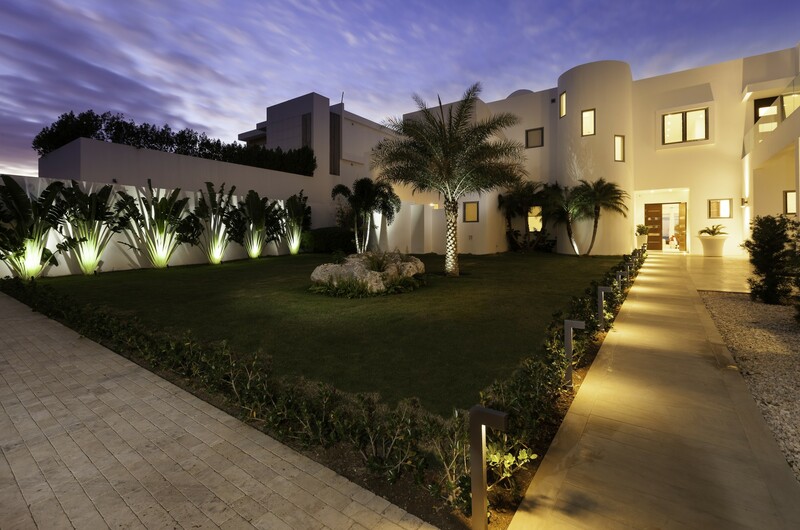 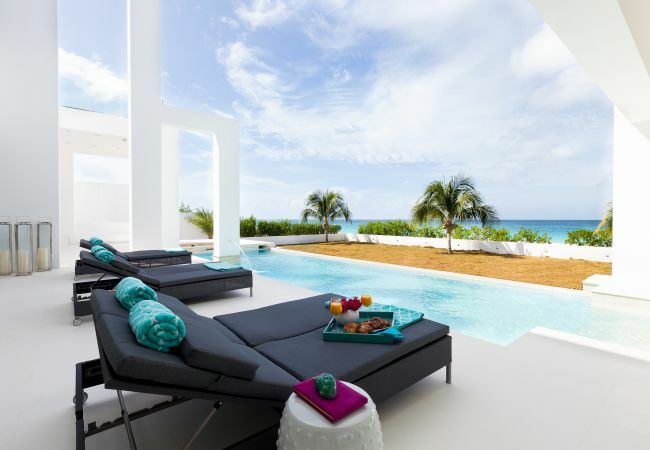 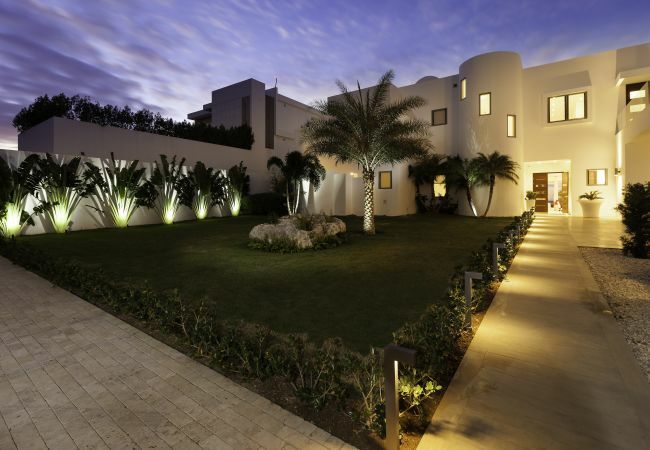 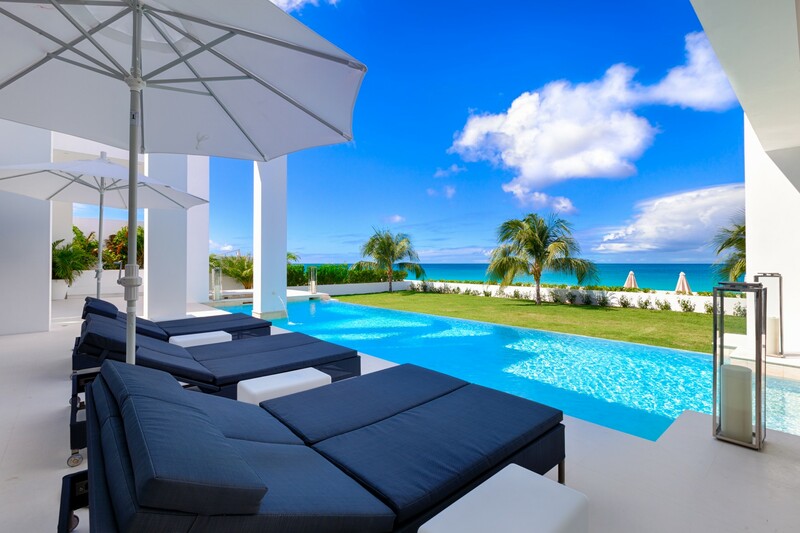 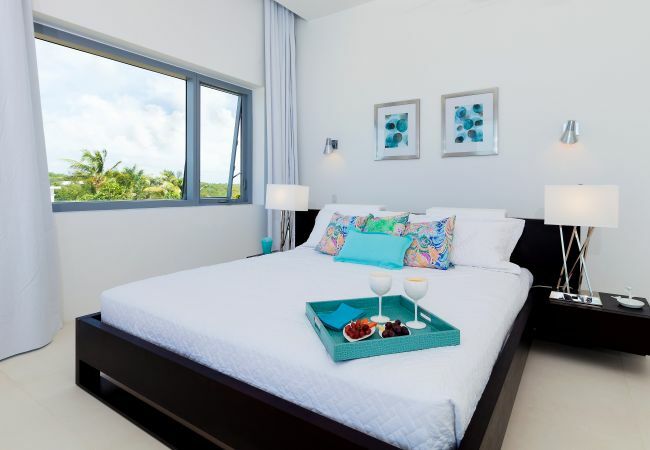 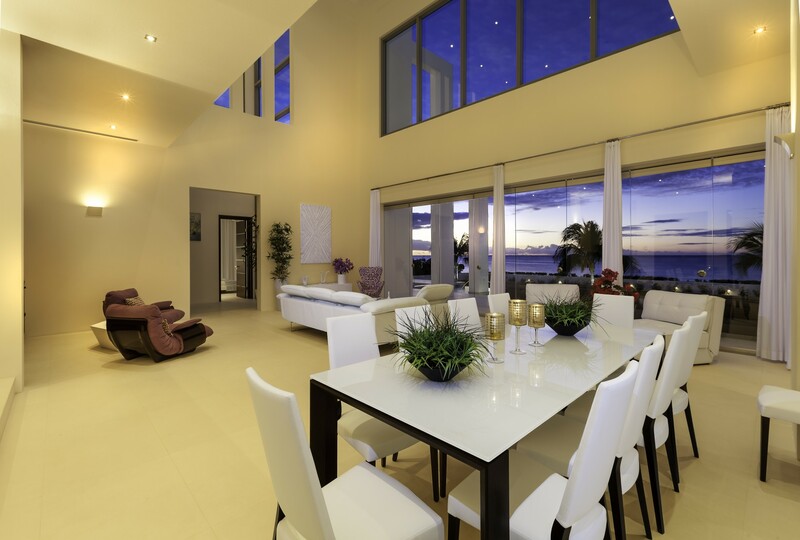 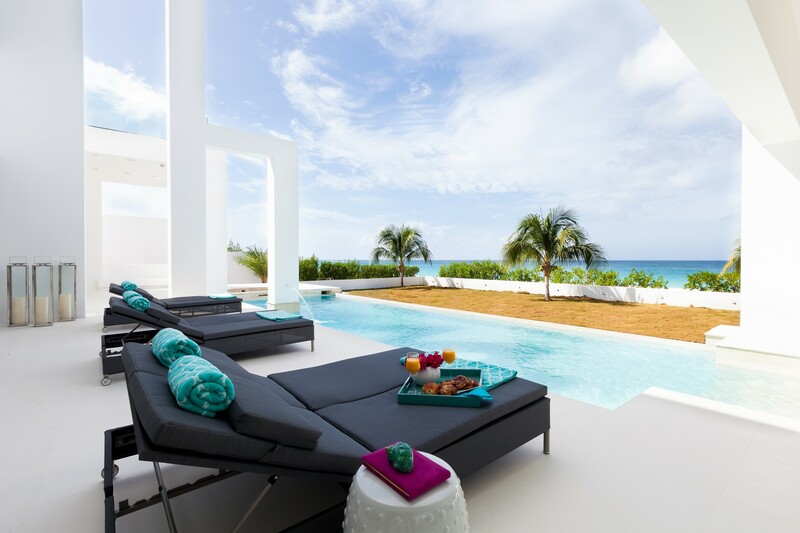 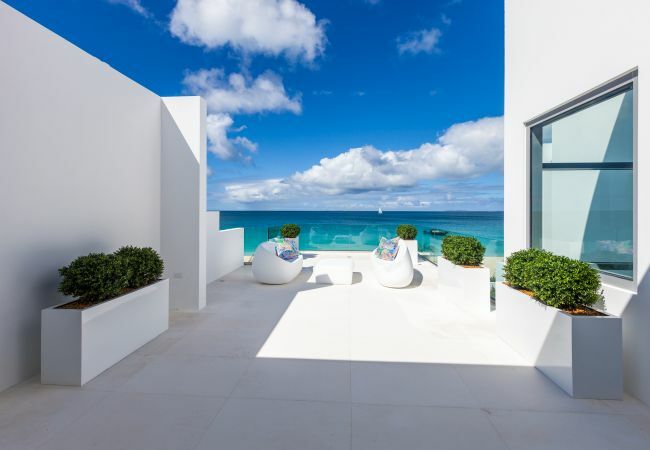 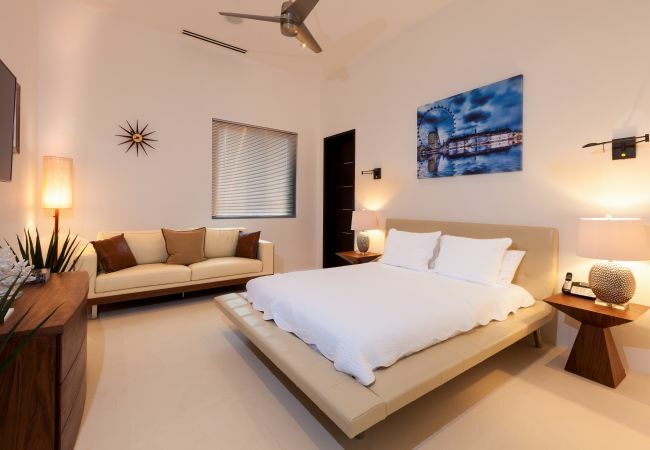 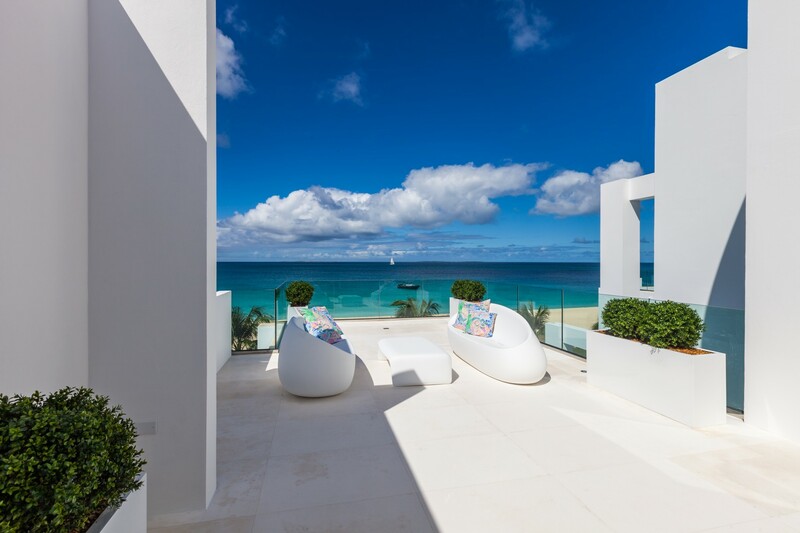 Within beautifully landscaped gardens and offering seven spacious master bedrooms, 8 spacious master bedrooms, 10 master baths and two powder rooms, the architecture of this inspired home is designed to capture the natural beauty of Anguilla, with its spectacular sunsets and ocean views. 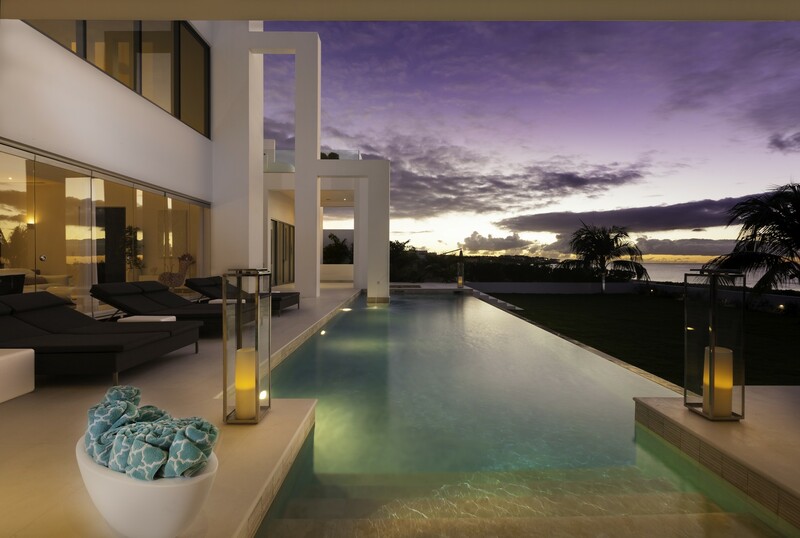 With more than a dozen dedicated outdoor deck and lounge areas, there is no shortage of spaces for entertaining or quiet solitude. 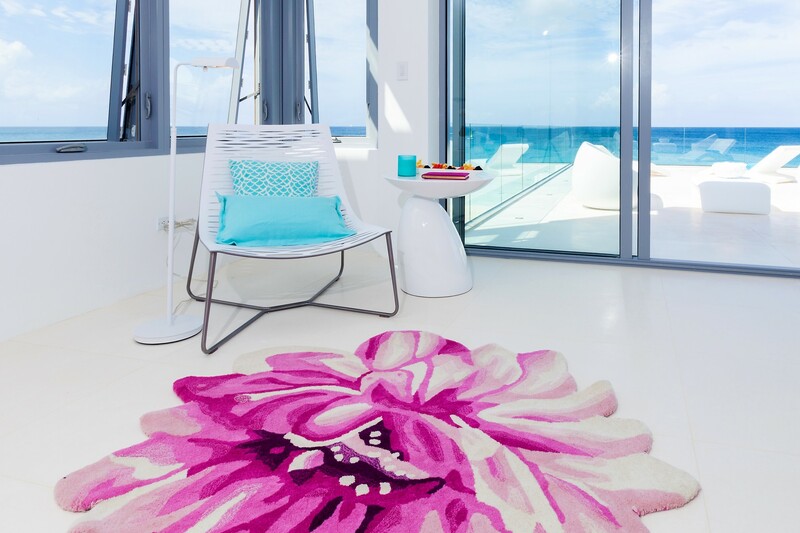 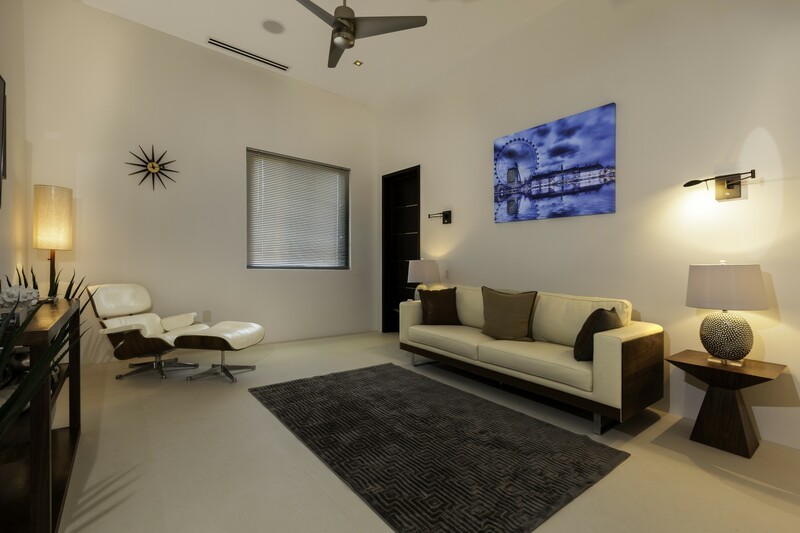 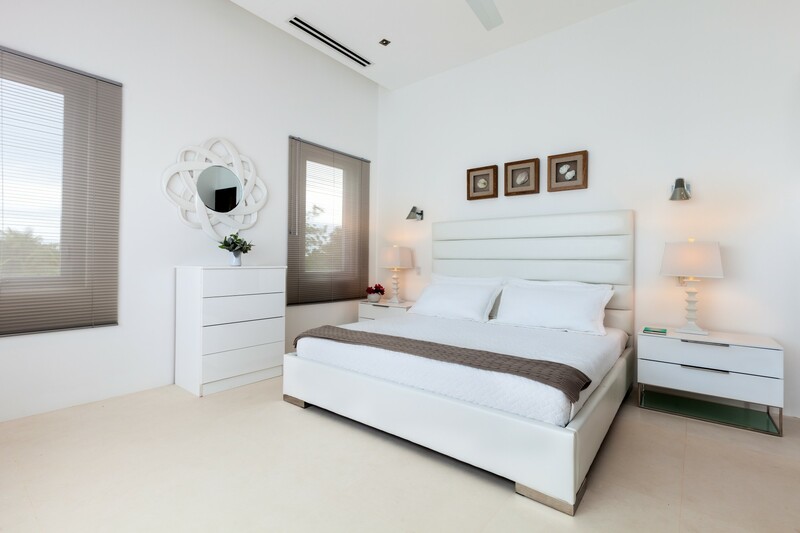 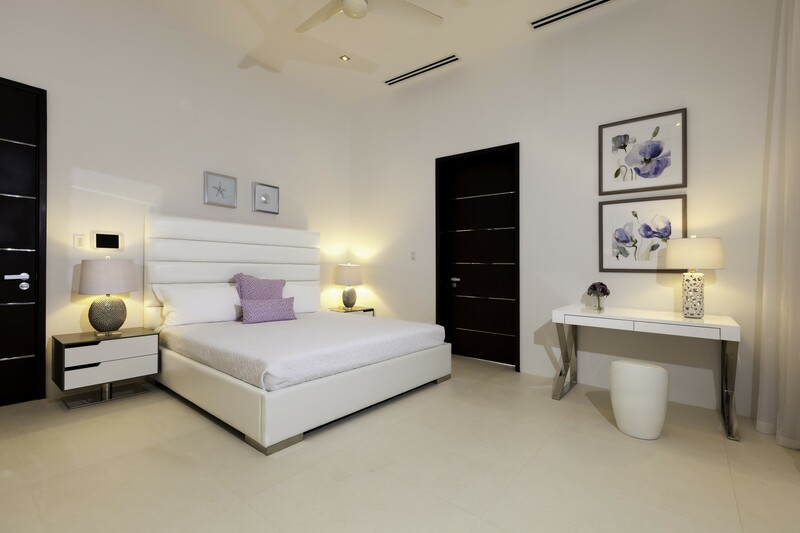 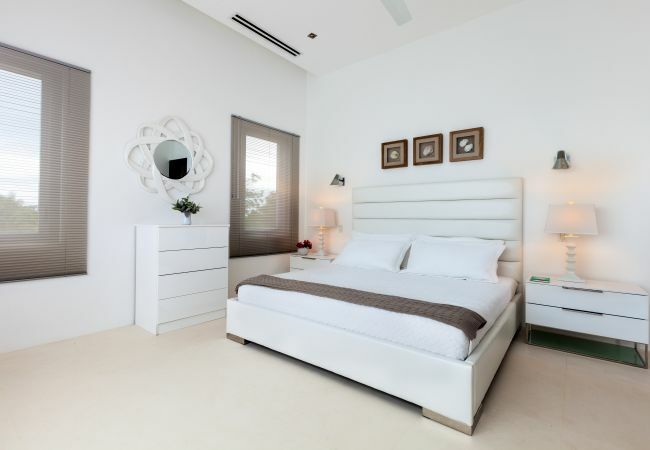 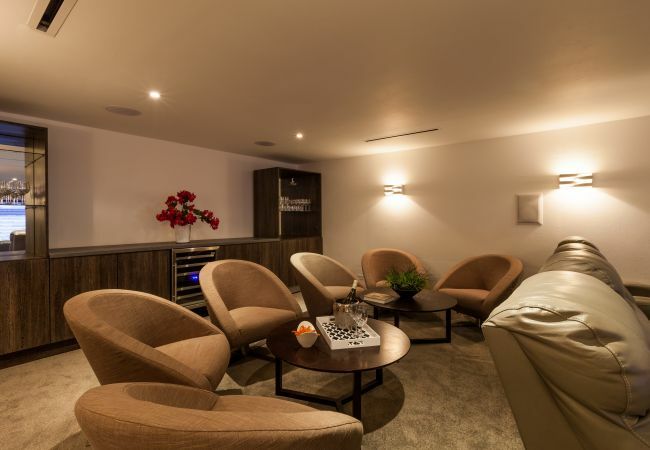 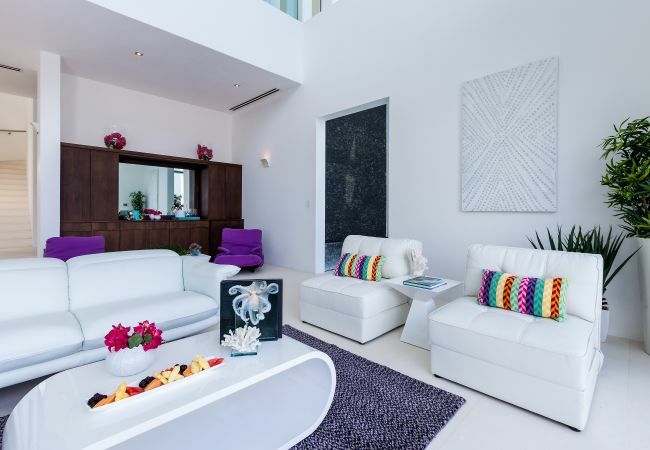 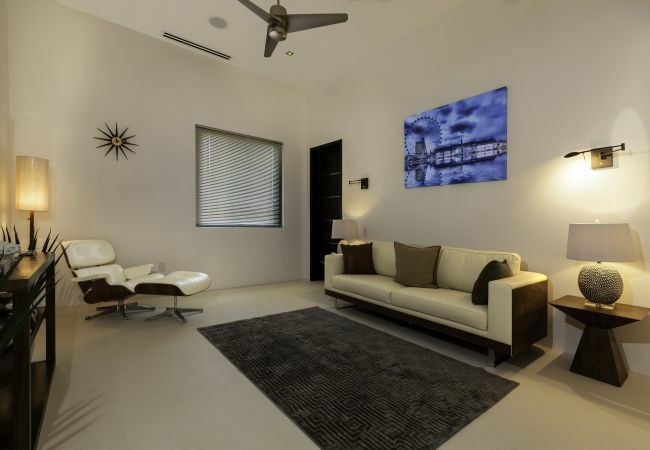 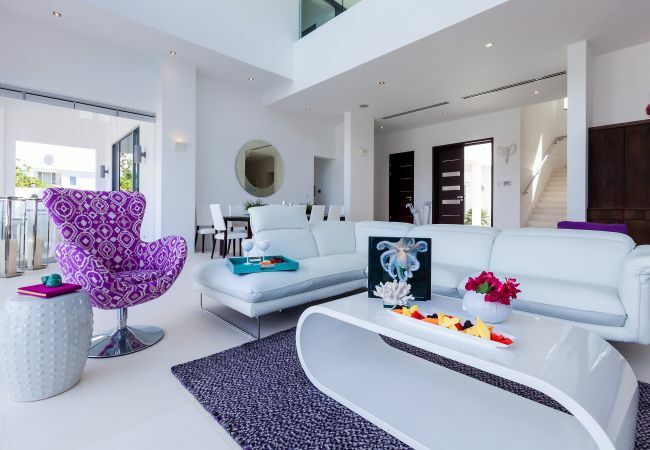 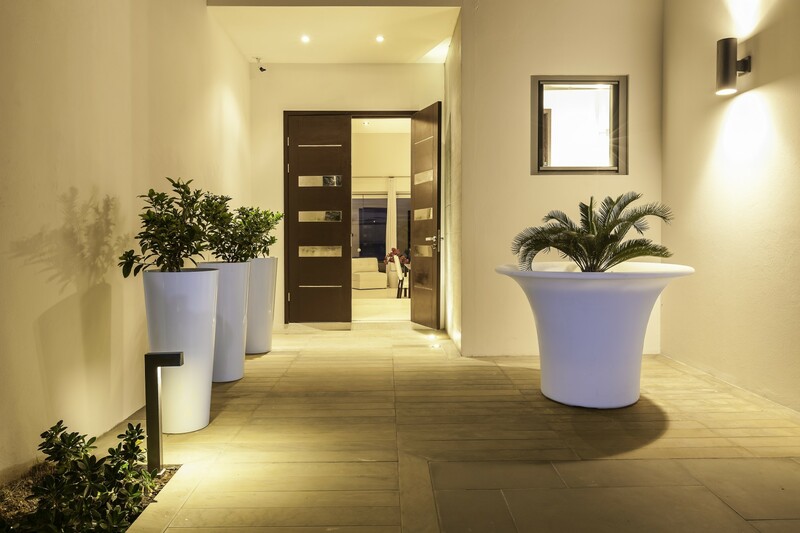 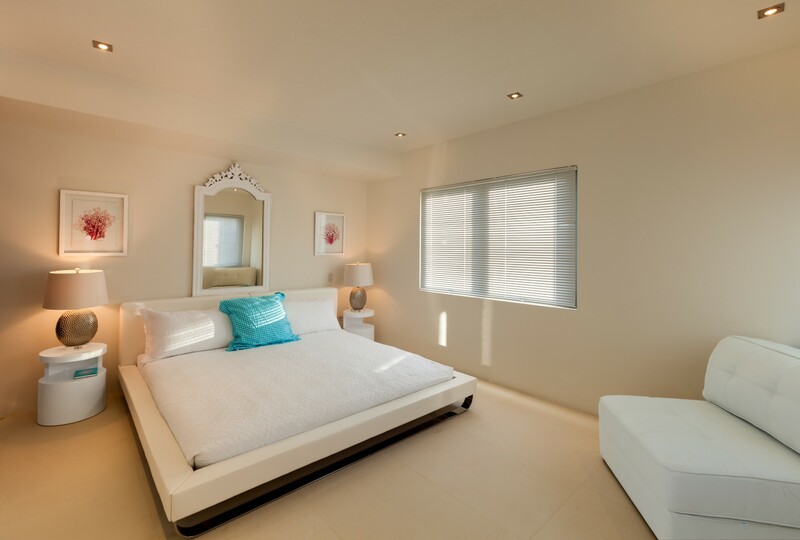 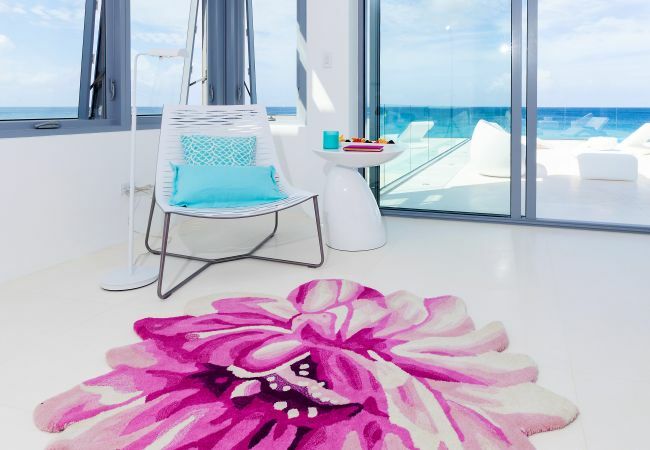 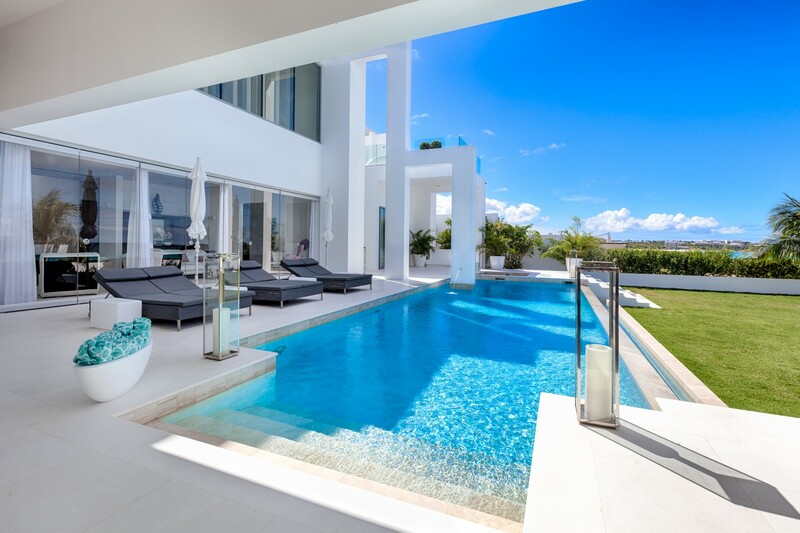 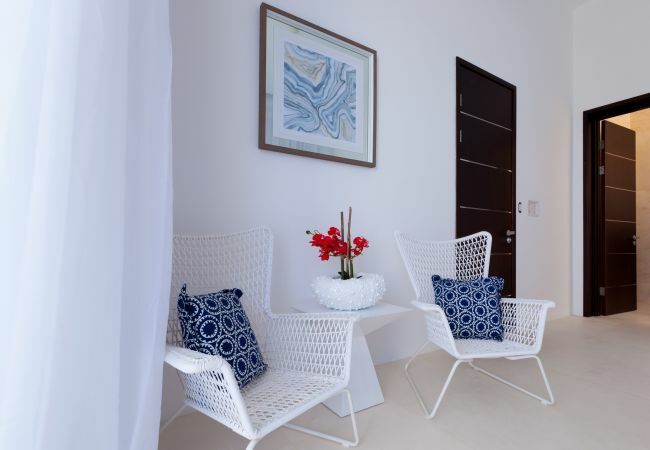 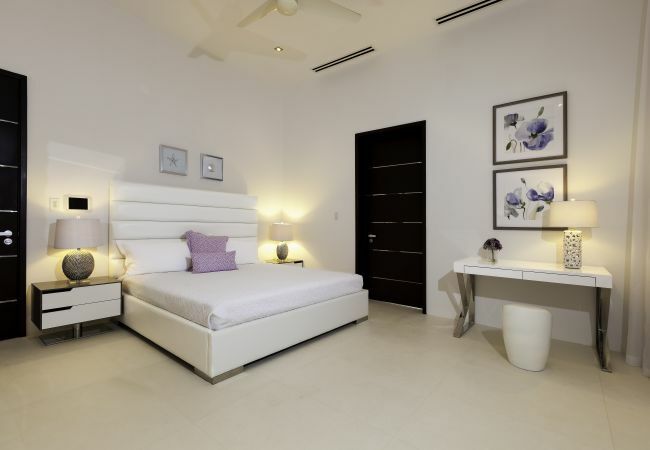 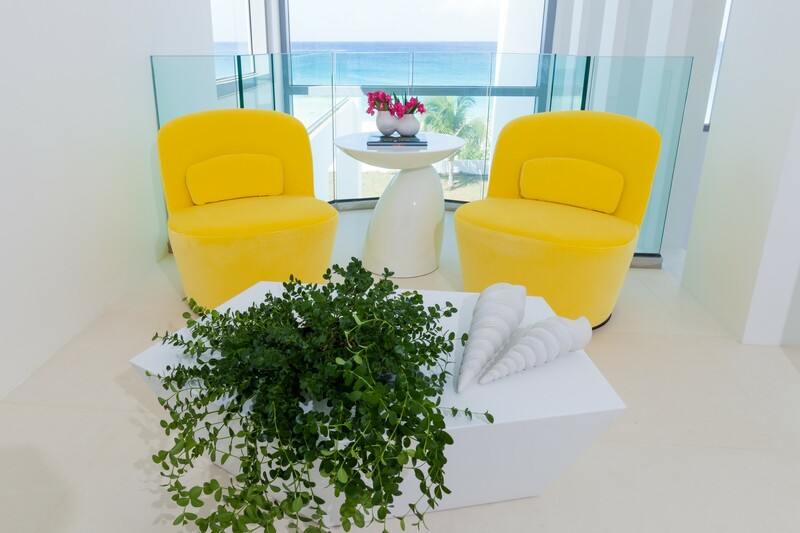 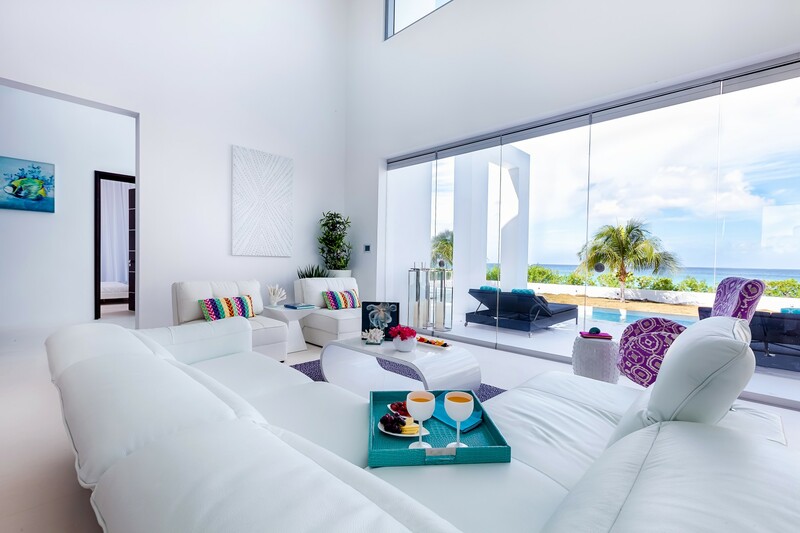 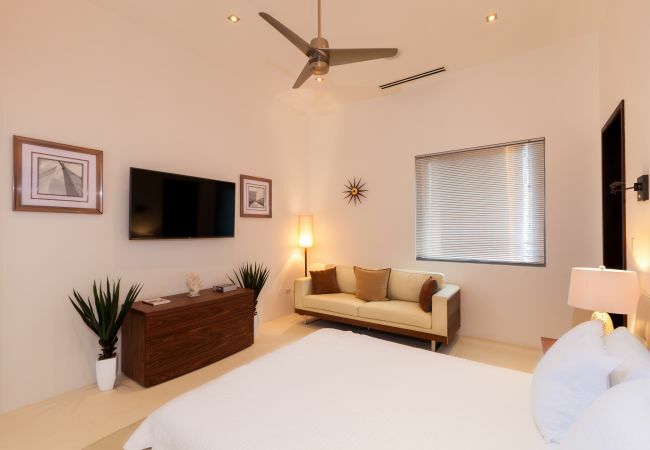 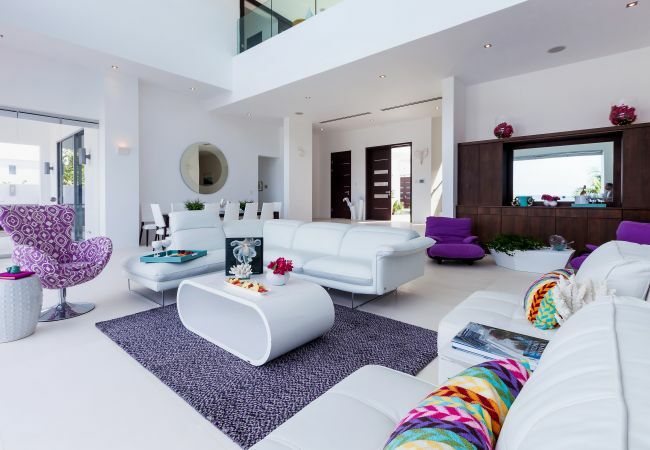 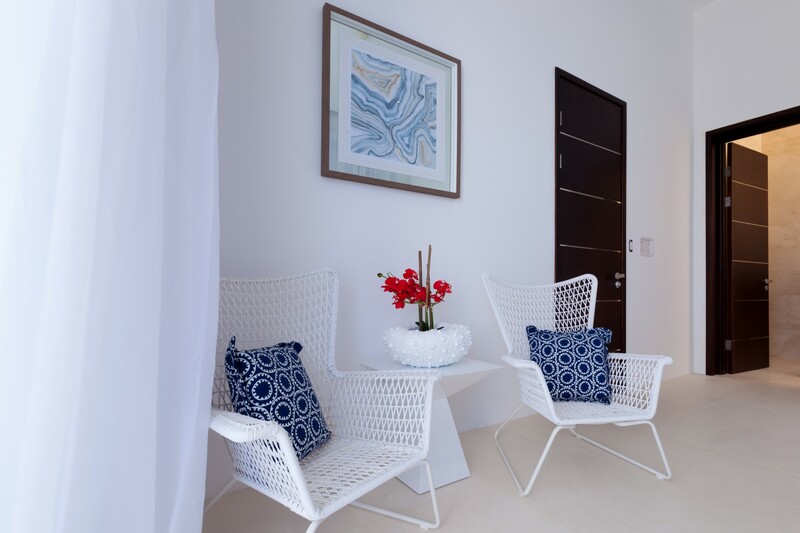 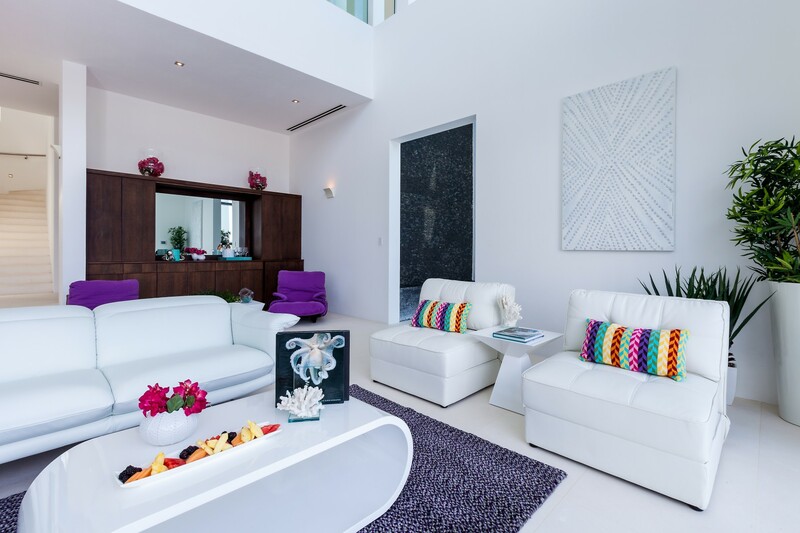 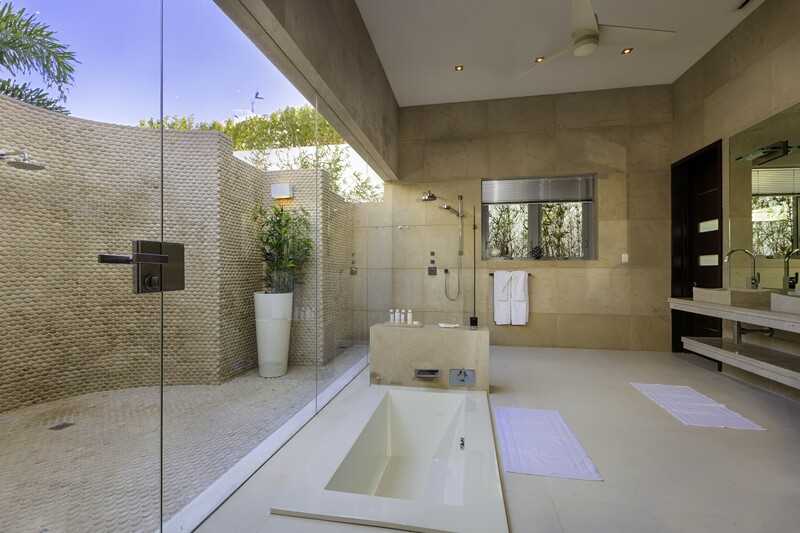 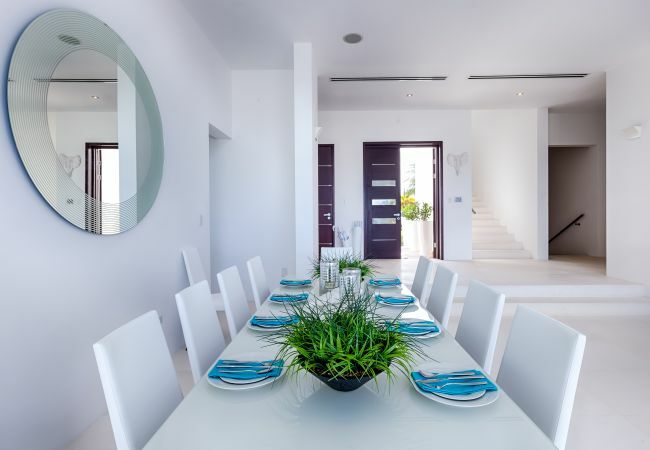 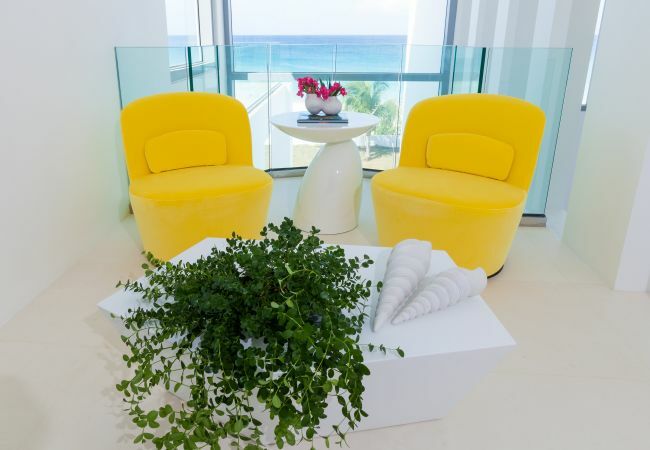 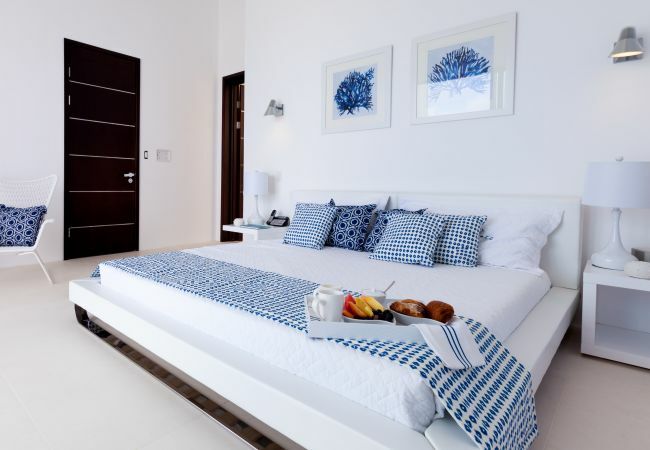 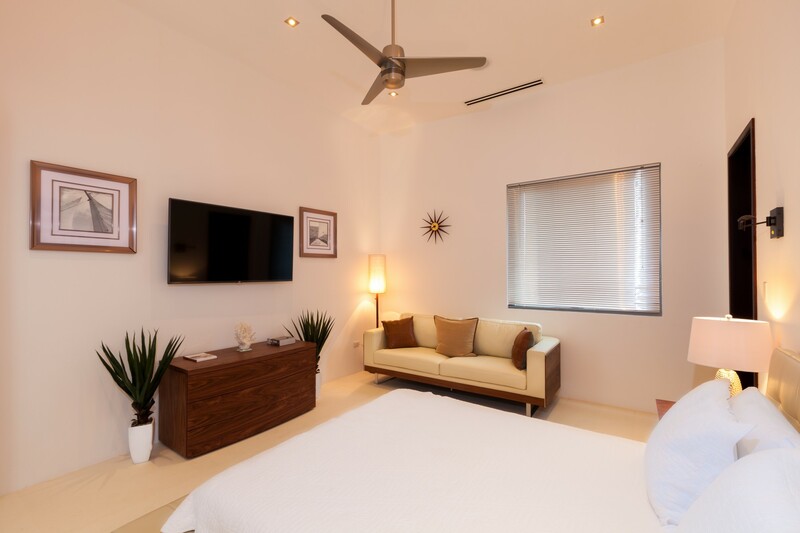 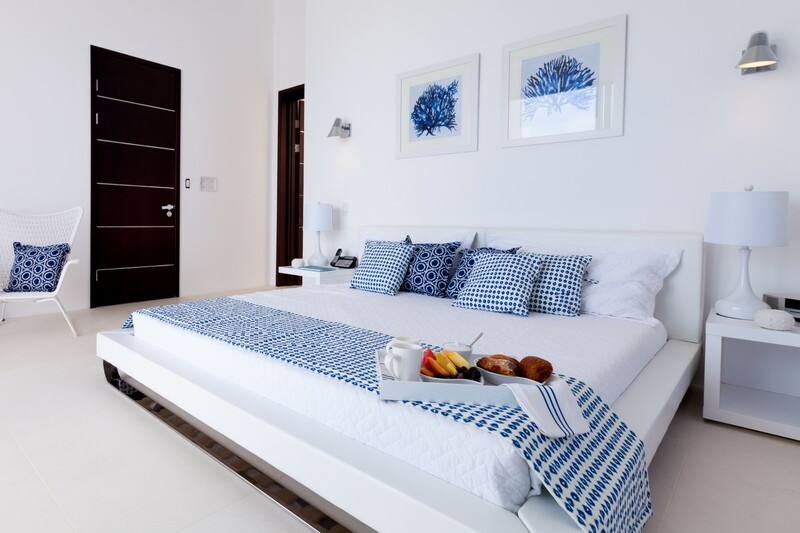 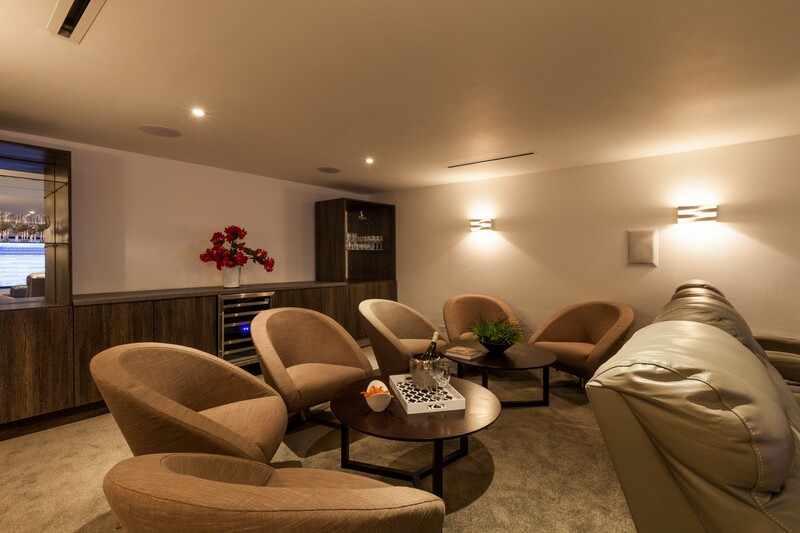 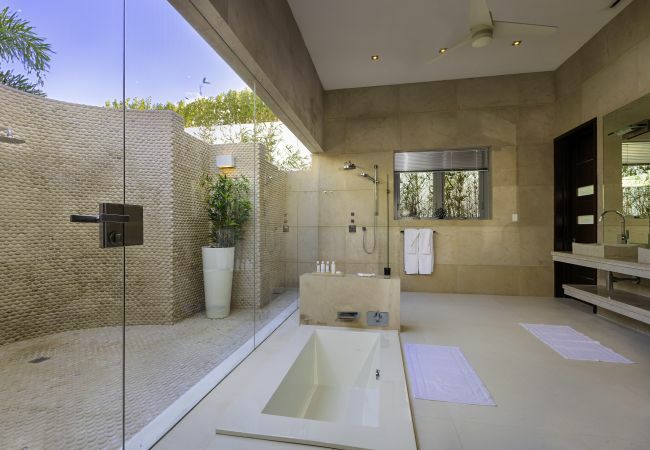 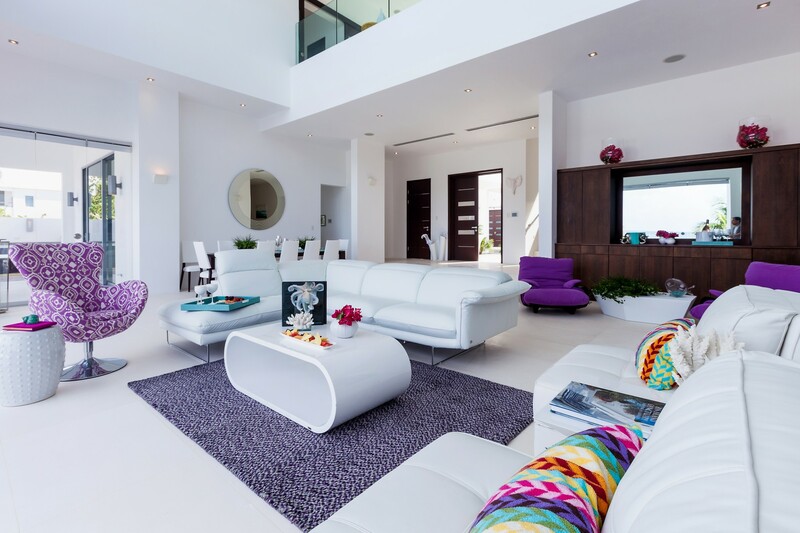 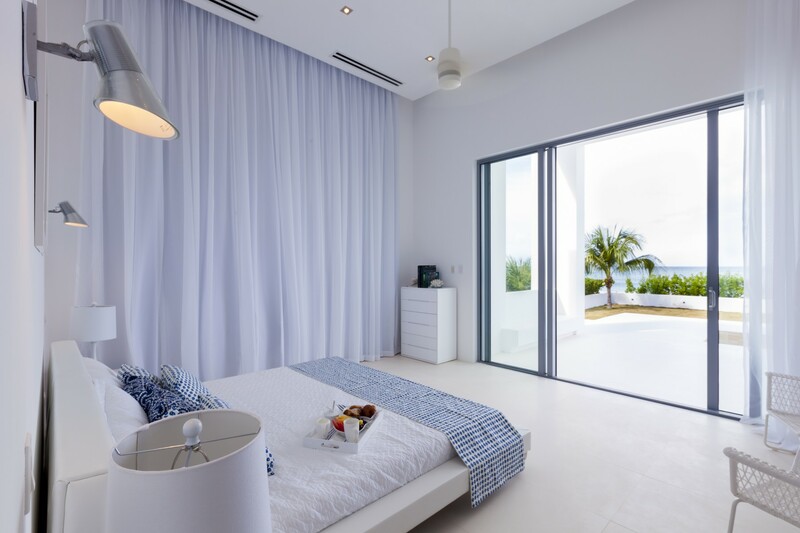 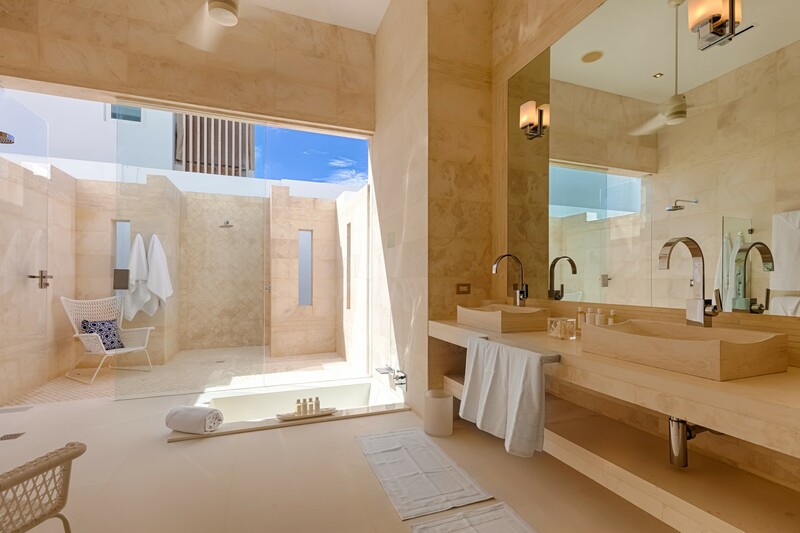 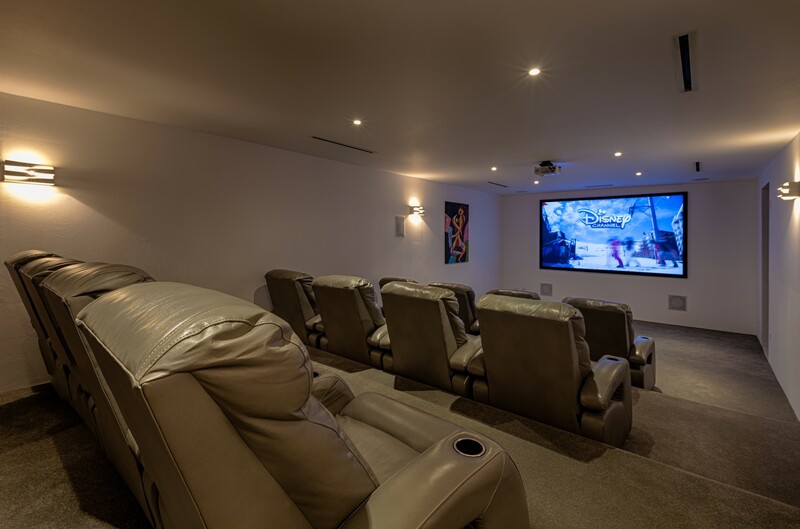 The villa has been designed and fitted to accommodate a luxurious entertainment suite on the lower level which comprises a state of the art entertainment and leisure system allowing for control of the room’s sound, light, music and overall mood. 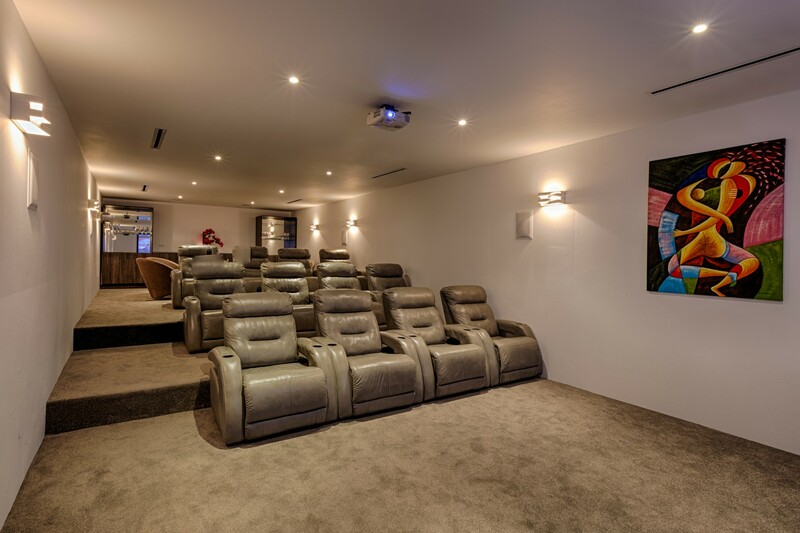 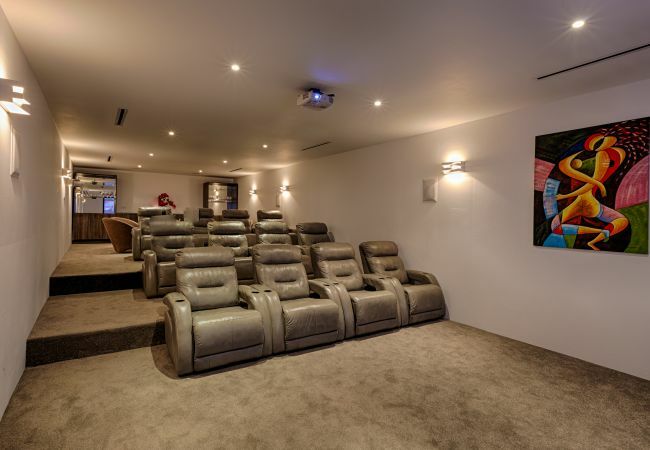 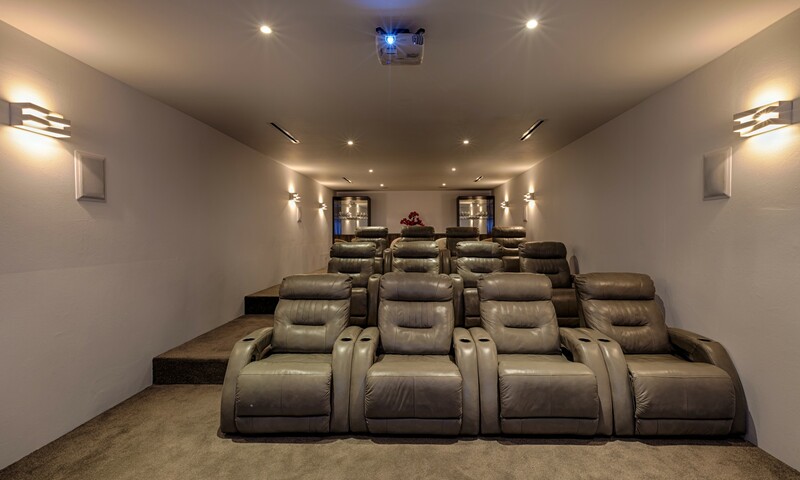 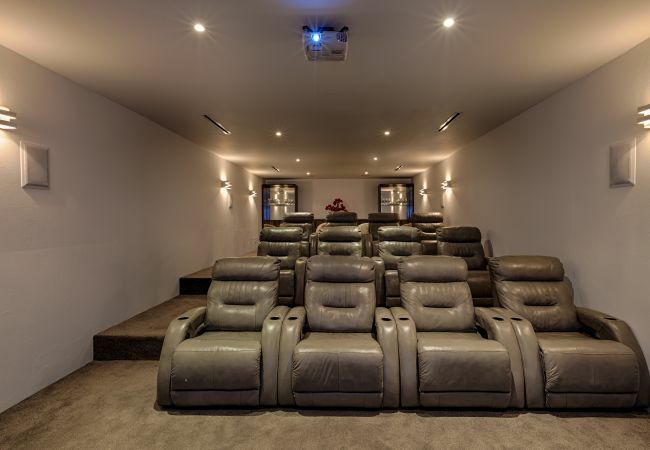 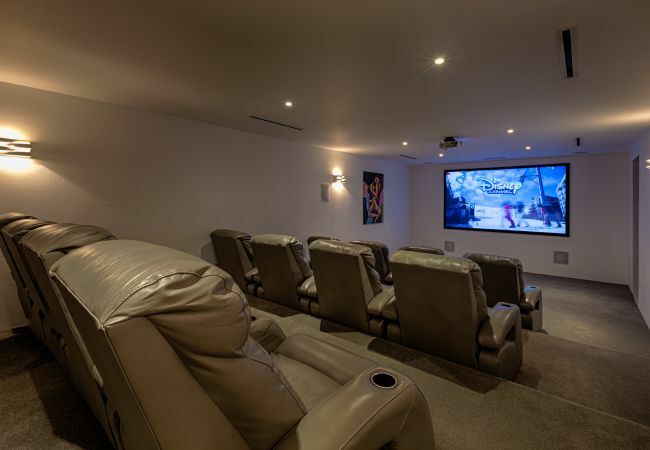 A large home theatre with surround sound lends a whole new meaning to “movie night”. 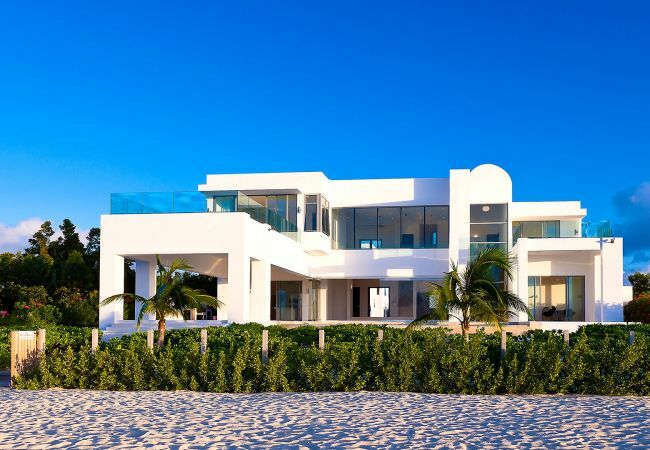 A tennis court, fitness room, a 44 foot infinity edge pool, an outdoor Jacuzzi and a games room are only SOME of the extras that owners can expect at the Beach House. 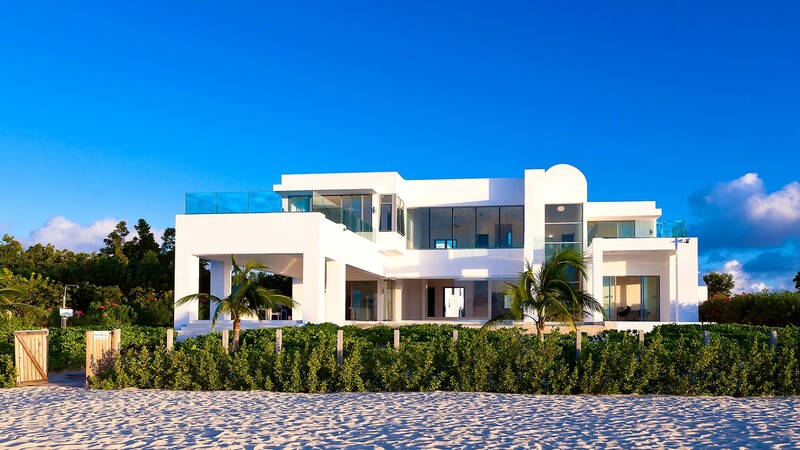 The Beach House is a truly unique prestigious home ownership opportunity. 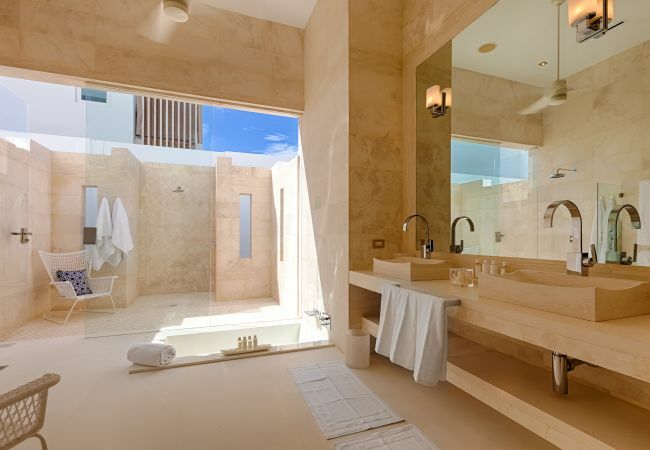 - 8 Bathrooms with shower, 1 Toilet. 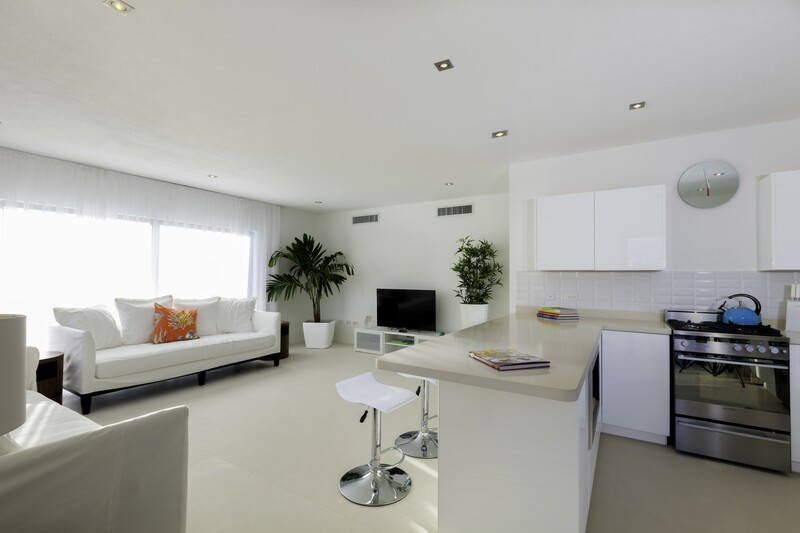 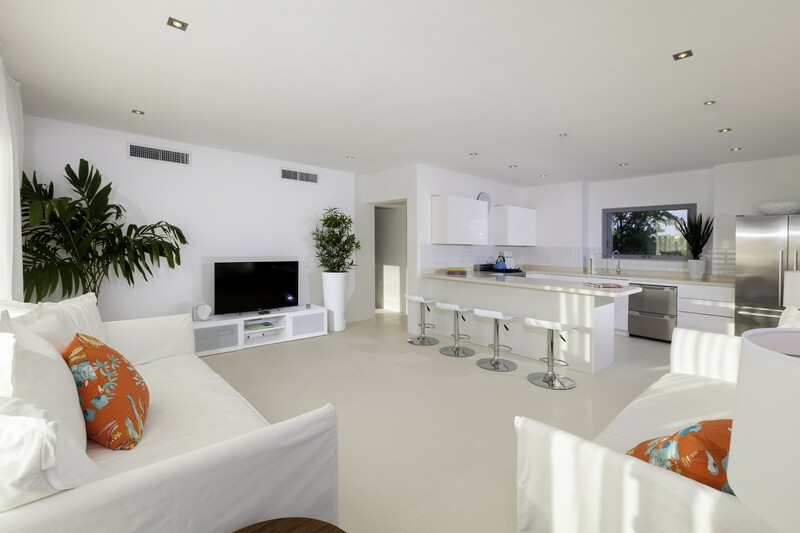 - TV, Stereo, garden, garden furniture, terrace, barbecue, safe, air-conditioned, private swimming pool, Garage.